Like every woodworker whose spouse is about to buy a cheap, slapped-together wooden craft item I offered to make a better one. This particular decoration was a simple wooden rectangle about 4&apos; high, painted red, with wooden letters spelling out “LOVE.” The letter “O” was, predictably, a heart. I refused to let her spend $25 for something I could do better, faster and with no shipping charges and she told me to make it so. I already had a suitable board and headed out to the local craft store for some red paint. While there, I found wooden letters with a nice routed edge, and even a wooden heart of the same size and realized I could save bags of time and so grabbed those, too. Everything went together quickly and easily, and I even had a brainstorm on that wooden heart – why not cut a stencil, and make it look like one of those little Valentine candies? So, I did that, too. The downside of all this is, and it comes as no surprise, I ended up paying more to make it than Sally would have if she’d bought it. 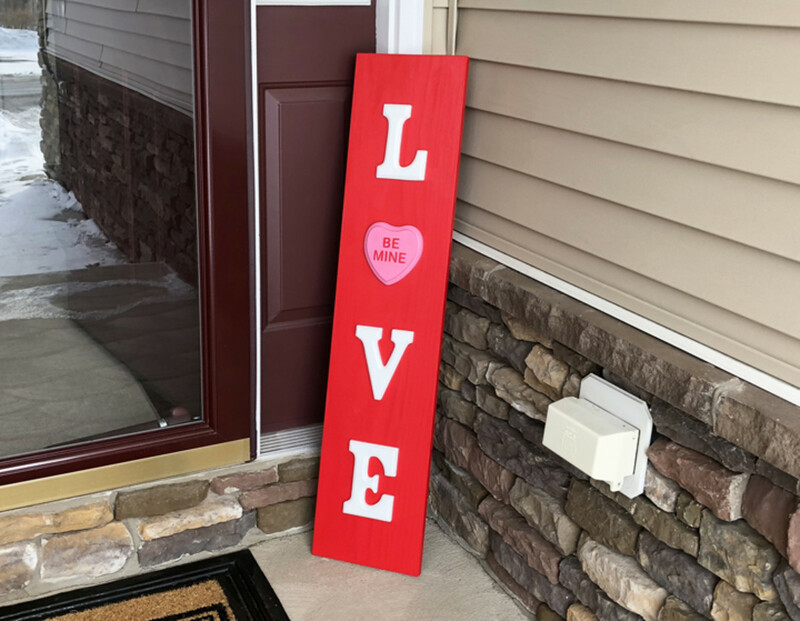 But on the upside I had fun doing a quick decorative project that really was nicer than the online one, the end result would last for years, and once she had it in place on the porch there was no doubt who her favorite Valentine would be this year.